If you are a student or contemplating a career change, you know that there’s plenty of career advice out there. However, it tends to offer pointers on careers that are currently hot or that will be in the future. Some of these jobs are indeed great employment prospects, and some of them will be occupations that are extinct a decade from now. And then there are the “solid” jobs, jobs that offer vital services and are always in demand. Customer service positions are proving to be the best of both worlds, offering a much in demand career that is projected to grow within the next decade. 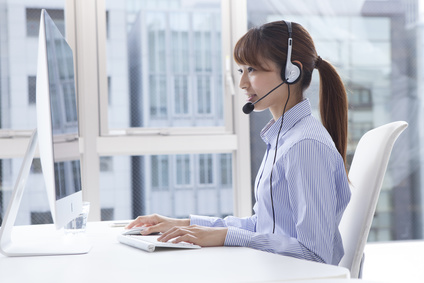 Read on to learn why customer service is definitely a field to consider. Because skills acquired in this field can now be applied easily to either business or non-business positions, this means that transferring and promotional possibilities within this field are easier as well. These skills can be translated to other positions within the same or different departments. For example, the responsibilities and duties of sales associates include meeting and working with a variety of clients. An impressive knowledge of a product, including how to obtain it is also a must for a salesperson. A previous position as a customer representative can provide both education and training for future positions. Courses are seldom more than a day and often include role and group exercises to enhance skills. Managerial positions within this field often require certificates or undergraduate degrees, which can take anywhere from a few months to several years to acquire. The doctor who’s never without a beeper. The restaurant manager who is called at home (repeatedly) with mundane questions from the staff. The park ranger who has to drive back into work to deal with angry bears and visitors. We all know employees who are never not working, even if it’s just fielding phone calls at home. Because of the way in which their jobs are structured, customer representatives get to leave work at work. The result is less job burn out and stress, and the ability to start each day fresh. A customer service career is not without its challenges. Workers are exposed at times to high levels of stress. It’s an industry that can compel workers to deal with frequent change, due to product needs and demands. And while promotion can certainly happen on many levels within this field, employees should expect to begin at entry level positions. If an individual does not enjoy the prospect of being a self-starter, then this may not be the field for him or her. But for individuals with excellent problem solving, reading, and people skills, this field offers much in demand jobs with ample promotional opportunities for the foreseeable future. Cassidy Hennigan is a former recruiter, passionate about career development and productivity techniques. She is a sports aficionado, who loves socialising and meeting new people and giving useful tips about personal development. She strongly believes that being informed and up-to-date is vital, that is why she contributes to Salaries Wiki, where she writes about salaries, skills and opportunities regarding different jobs. This entry was posted in Articles and tagged customer service, customer service career. Bookmark the permalink. I worked for many years directly with clients, in door-to-door sales. It is incredible how much can be learned in all facets of life with this work. Very cool item. A customer service career is not without its challenges. Workers are exposed at times to high levels of stress. It’s an industry that can compel workers to deal with frequent change, due to product needs and demands. This is a routine job. Everyone knows it. But with high skills and really good experience in your resume, you can find famous world customer company.